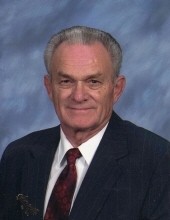 Nathan Charles “Bub” Hill was born April 13, 1938 in Marlow, Oklahoma to Nathan Jack Hill and Zella McConnell Hill and passed away on October 6, 2018 in Mustang following a long illness of Alzheimer’s. Nathan grew up in Marlow, Oklahoma and attended school at Central High west of Marlow. Nathan excelled in basketball, baseball and football in high school. He graduated from Pernell High School in 1957. Shortly after graduating from high school, the family moved to Anadarko, OK. Nathan joined the Oklahoma National Guard, serving with the 45th Division and took his basic training in San Antonio, Texas. After basic training he returned to Anadarko and went to work for Western Electric in Oklahoma City. In 1962 he married Reatha Ryburn in Anadarko and the couple moved to Oklahoma City. In 1965, their only child, Scott Hill was born. Nathan gave his life to Christ at an early age and was a lifelong Baptist. He attended Chisholm Heights Baptist Church in Mustang until failing health prevented him from attending church. Nathan loved children and spent many years as a little league coach. Upon moving to Mustang, Nathan, along with several other men saw the need for baseball fields. He spent many years coaching little league on those fields and maintaining them. Many lifelong friends were made while coaching Little League. Nathan continued to work for Western Electric, AT&T and Lucent Technology, retiring in 1999 after 38 years as an Electronic Technician at Lucent. Following retirement, Nathan and Reatha spent 16 years traveling with the Winnebago Travel Club and friends they met along the way to every state in the US, except Delaware. They also traveled to Canada, Alaska and Mexico. Nathan is survived by his wife of 56 years, Reatha Hill, his son Scott Alan Hill and wife Susan Hill, of Longmont, Colorado, two granddaughters, Lauren Deathrage and husband Jarrett, of Edmond, and Ashley Hill of Norman. One grandson, Kristopher Hill, and one great granddaughter, Haileigh Hill and one special niece, Pam Ryburn who lived with the Hills. Three sisters, Jackie Pierce of Scottsdale, Arizona, Allene Shore of Peoria, Arizona and Polly Tilley of Moore, Oklahoma. One sister in law, Lahona Hill of Tuttle and one cousin, Janay Bishop of Mustang. He was preceded in death by his parents, and one brother, Gerald Hill. He is also survived by many nieces and nephews. Services are scheduled for 2PM, Wednesday, October 10, 2018 at Chisholm Heights Baptist Church, 2243 W. State Hwy. 152 in Mustang. Burial will follow in the Mustang Cemetery. To send flowers or a remembrance gift to the family of Nathan Charles Hill, please visit our Tribute Store. "Email Address" would like to share the life celebration of Nathan Charles Hill. Click on the "link" to go to share a favorite memory or leave a condolence message for the family.